Funeral services for Carter Amundson will be held on Monday, January 21, 2019 at 10:30 a.m. at First Lutheran Church in Morris with Reverend Dan Belgum-Blad officiating. Visitation will be on Sunday, from 3:00 – 6:00 p.m. at the Pedersen Funeral Home in Morris and will continue one hour prior to the service at the church on Monday. Burial will be at Summit Cemetery in Morris. Carter Dean Amundson was born on April 18, 1995, in Morris, Minnesota to Johnathon and Tabatha (Bargabos) Amundson. Carter was baptized and confirmed in his faith at First Lutheran Church in Morris. He received his education in Morris and graduated with the Morris Area High School Class of 2013. Following graduation, Carter jumped into the music scene and eventually went to Minnesota State Community and Technical College in Moorhead, where he earned his A.A. Degree. Recently, Carter began school at Minnesota State University Moorhead pursuing a degree in Video and Audio Production and Journalistic Photography. While in high school, Carter was active in Speech and Drama. He was a natural storyteller and entertainer. Carter grew up around games and entertainment at his Dad’s shop, John’s Total Entertainment, in Morris, where his love of video games, movies, comics, and especially Pokémon began. Carter was the Pokémon League Gym Leader and taught numerous kids to play the game. While at M State, Carter was the President of the Comic Book Club, where he planned meetings, activities and the 2018 trip to the Anime Detour in Minneapolis. Carter and his family enjoyed many camping trips. Carter would always find the Hiking Club Trail at any campground, he loved walking and hiking, especially with his dog, Poki. He also had a love of travel and was fortunate to explore many destinations with his family, including: Hawaii, Florida, New York City, Boston and Philadelphia. Another favorite pastime was attending Minnesota Vikings games with his Dad, mainly for tailgating. While in the Fargo/Moorhead area, Carter was extremely active in the music scene, he played bass and sang in his band, Cascades. He and a friend created “Hotdish Entertainment” and would set up music gigs with local bands, including his, and promote them. Many of these would be benefit shows and the money would be donated back to local charities. A passion of Carter’s was photography, he always had a camera in his hand and many of his photos could be seen on “Fargo Live.” Carter thoroughly enjoyed being “Uncle Carter” to Jordan and Rose Jager. A friend said it best when he described Carter as: Fiercely Loyal, Fundamentally Kind, Annoyingly Passionate and Universally Loved. 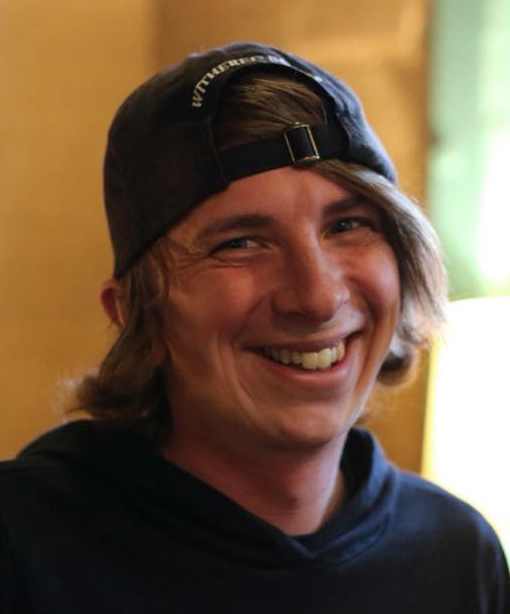 Carter died on Tuesday, January 15, 2019 in Moorhead, Minnesota, he was 23 years old. He is survived by: his father, John (April Smith) Amundson of Morris, MN; mother, Tabatha (Lee Whitney) Bargabos-Amundson, of Ramsey, MN; one brother, Blake Amundson of Ramsey, MN, his grandparents, C. John (Deanna) Amundson of Westbrook, MN, Larry (Fran) Bargabos of South Haven, MN and Karen (Danny) Good of Ames, IA; Uncles and Aunts: Don (Linda Sue) Amundson of Shakopee, Liz (Bryant) Tanner of Chokio, Andrea (Deryl) Bargabos of North Canaan, CT, Jason (Jackie) Bargabos of Boise, ID, Ben (Nikki) Larrew of Boone, IA and Mike (Cherry) Bargabos of Wailuku, HI; and many cousins. Carter is preceded in death by his brother, Bailey and Stan Lee. Pedersen Funeral Home in Morris is in charge of arrangements for Carter.